The first thing I do when I turn 26? Travel to Colorado for four days. Not a bad plan to ring in my birthday, right? It's March 25 and I'm a year older which my body has been sending me subtle reminders of for the past few weeks. Why is it suddenly harder to roll out of bed each morning? Is this some correlation as to why my daily consumption of coffee has skyrocketed? Who knows. Colorado is a very special place to me and was an important milestone in my mid-twenties growth period. I recently lived for six months in a tiny town called Granby, located at some 8,700ft up in the snowy Rocky Mountains, working a seasonal job at a local YMCA ranch and indulging fully in the glorified ski-bum lifestyle. It was one of the best, beneficial experiences of my life that I'm so grateful for. I met some of the most inspiring people I now call best friends and got to explore the west. I've been back in Wisconsin for alittle over a year now and there hasn't been a day that's gone by where I've thought about CO. I miss it dearly, and now I'm going back. It's hard to find the words to describe just how important Colorado is to me, and how insanely stoked I am to return. The itinerary is fairly flexible, with skiing happening at Winter Park and Granby Ranch mixed with tons of reunions with familiar loyal faces and continued exploration. Hopefully I'll be able to check out a fascinating wildlife refuge, Rocky Mountain Arsenal National Wildlife Refuge outside of Denver, which has been on my adventure bucket list. Per usual the airline of choice is Southwest who I'm begging not to loose my brand-new cherished pair of skis. 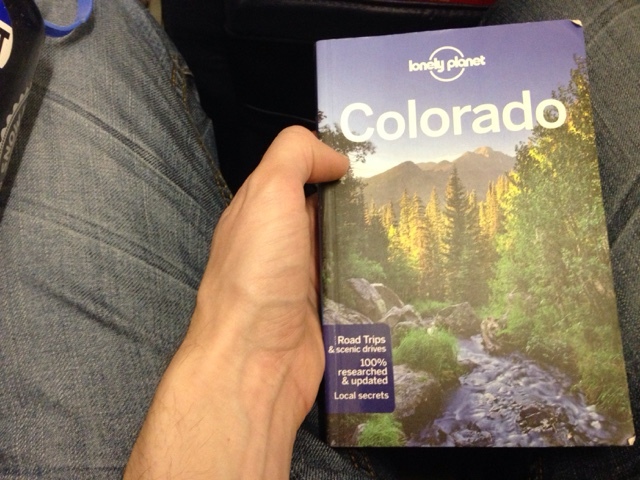 Colorado here I come! It'll be so good to be back in the valley and my home-away-from home. Side note, do not bring a multi-tool that fits in your wallet through airport security, when TSA sees there's a blade on it, they get pretty mad. Whoooooops.